amilia is using Smore newsletters to spread the word online. 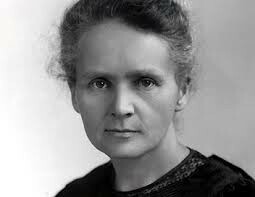 Marie Curie was born on November 7,1867 in Warsaw, Poland. Marie Curie had a 6 year old sister Sofia, a 3 year old sister Broya, and 18 month old sister Hela, and a 4 year old brother Joseph. Marie's mother was a principal of a girls boarding school. Marie Curie was 27 when she got married to Pierre Curie. In 1934, at the age of 66, Marie Curie died. 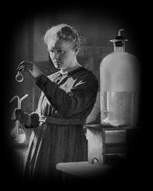 Marie Curie was the first woman to get a PhD degree. Marie studied radioactivity. Marie Curie was given a tiny room that was used partly as a storage room, at a school of Physics and Chemistry. The room was for her to study radioactivity. Pierre was also a scientist. In Paris she adopted her French name Marie. Marie and Pierre Curie got a Nobel prize together. Marie was one of only a few scientists to get two Nobel Prizes. Doctors use radioactivity for cancer. Marie's daughter won a Nobel Prize in 1935.